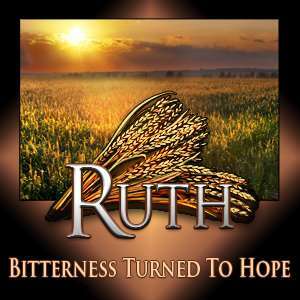 Ruth is one of the most poignant of books in the Bible. At times it is heart-breaking; other times it is intense and penetrating because it cuts to the heart of our common human experience. A major theme in this book has to do with the grace of God in transforming suffering into blessing and sorrow into joy. Therefore Ruth, set in the context of the dark days of the judges, the time of Israel’s greatest apostasy and spiritual rebellion against God, we see that even in the midst of the rank paganism that is influencing the nation at that time, even in the midst of all the violence that is taking place, that there is a message that even in the darkest days of our own lives, no matter how horrible things may seem, there is always hope. If we are alive, God still has a plan and a purpose for our lives. We see this in Ruth, that even in the dark days of the judges God has not forgotten His people, has not ignored His people, but is even in the midst of their rebellion and spiritual apostasy working to bring about the solution. Ruth is the book of hope because what Ruth ends with is the foreshadowing of her great grandson who is David, the type of Christ who will bring the greatest period of prosperity and blessing to the nation. So Ruth is a book about grace and how God transforms suffering and cursing into blessing. Classes in this series were taught at Preston City Bible Church.